will cause this kind of rash. Tick-borne diseases are transmitted through the bite of an infected tick. These include Lyme disease, Anaplasmosis, Ehrlichiosis, Babesiosis, Powassan (POW), and Rocky Mountain Spotted Fever. Ticks can be infected with bacteria, viruses, or parasites. When an infected tick bites the human host, the human may become infected. 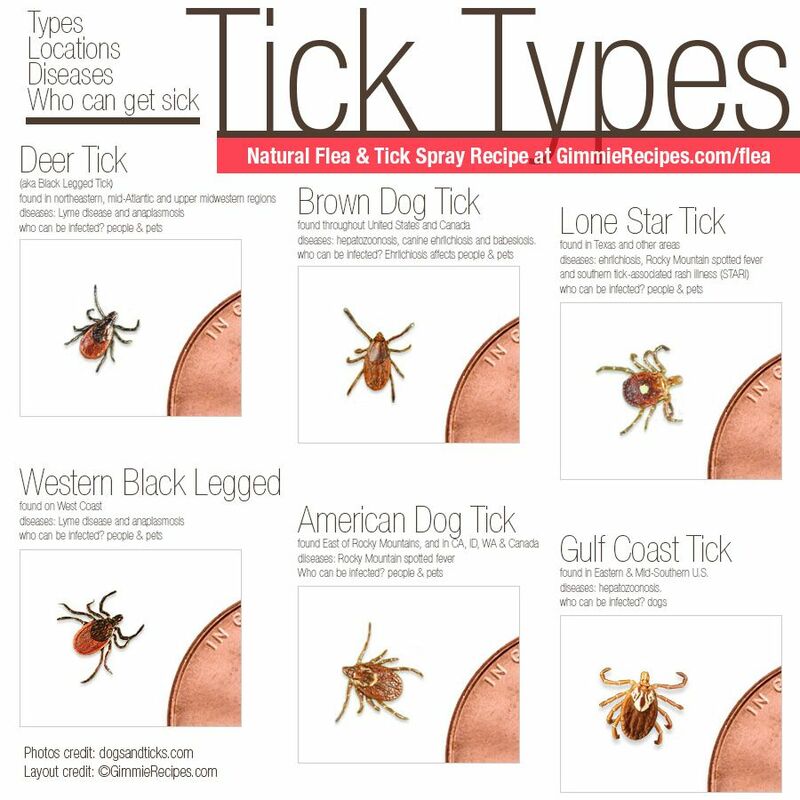 If you have been bitten by a tick, there is a possibility that have become infected with one of these diseases, but not every tick is a carrier. If you have become infected, symptoms can present themselves between a few days and a few months later, or may not appear at all. The type and severity of symptoms vary with the specific disease, but there are some common symptoms, which include tiredness, body/muscle aches, joint pain, fever, rash, stiff neck, and facial paralysis. Early diagnosis is helpful in successfully treating tick-borne diseases, so it is important to contact your healthcare provider if you are experiencing symptoms. Ticks feed on small wild rodents, deer, pets, and humans. When a tick becomes infected and continues to feed on various hosts, the bacteria, virus, or parasite can be transmitted. Ticks that are located in the brush and on tall grasses come into contact with humans as we pass through these environments. The ticks can then crawl up sleeves and bite the skin, typically around warm areas under the hair. Lyme disease, Anaplasmosis, and Babesiosis are spread by the Deer Tick (Ixodes scapularis). Ehrlichiosis is spread by the Lone Star tick (Amblyomma americanum). Rocky Mountain Spotted Fever is spread by the American Dog Tick (Dercacentor variabilis), Rocky Mountain Wood Tick (Dermacentor andersoni), Lone Star tick (Amblyomma americanum), and Brown Dog tick (Rhipicephalus sanguineus). Powassan virus is spread by the Deer Tick (Ixodes scapularis), Ixodes cookie, and Ixodes marxi. Ixodes cookei and Ixodes marxi rarely bite humans. Lyme disease, Anaplasmosis, and Babesiosis are the most frequently reported tick-borne diseases in Rhode Island. In addition, in recent years there has been an increase in the number of cases of Powassan virus in the Northeast, including the identification of Rhode Island’s first case in 2016. The ticks that carry these diseases are endemic to the northeastern and upper midwestern United States. The greatest risk of being bitten exists in the spring, summer, and fall. However, ticks may also be out searching for a host during the winter, any time temperatures are above freezing. Your healthcare provider will assess your symptoms and discuss whether you have been exposed to a potential tick habitat. Laboratory tests can be ordered to determine if there is an organism present in your blood or if your blood contains antibodies to an organism. Most of the tick-borne diseases are treated with antibiotics. Your healthcare provider will determine the appropriate medication and duration of treatment that is right for your condition. Other repellents registered by the Environmental Protection Agency (EPA) may be found at Insect Repellents: Use and Effectiveness. If the clothes require washing first, hot water is recommended. Cold and medium temperature water will not kill ticks effectively. If the clothes cannot be washed in hot water, tumble dry on low heat for 90 minutes or high heat for 60 minutes. The clothes should be warm and completely dry. To remove an attached tick, grasp with tweezers or forceps as close as possible to attachment (skin) site, and pull upward and out with a firm and steady pressure. If tweezers are not available, use fingers shielded with tissue paper or rubber gloves. Do not handle with bare hands. Be careful not to squeeze, crush or puncture the body of the tick which may contain infectious fluids. After removing the tick, thoroughly disinfect the bite site and wash hands. 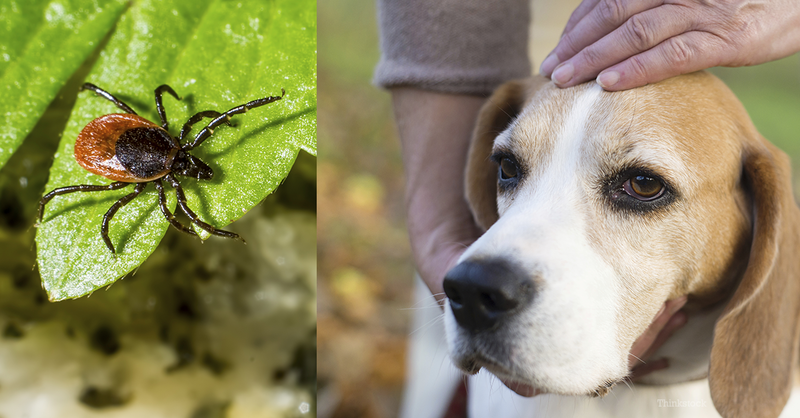 See or call a physician if there is concern about incomplete tick removal. It is important that a tick be removed as soon as it is discovered. Check after every two or three hours of outdoor activity for ticks attached to clothing or skin. 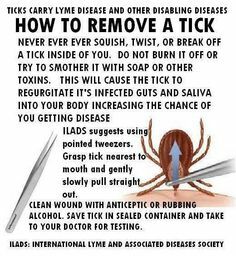 For additional information, visit the University of Rhode Island Tick Encounter Resource Center.